St Joseph’s and Gibraltar United could not be separated as they fought out a competitive 2-2 draw last night. 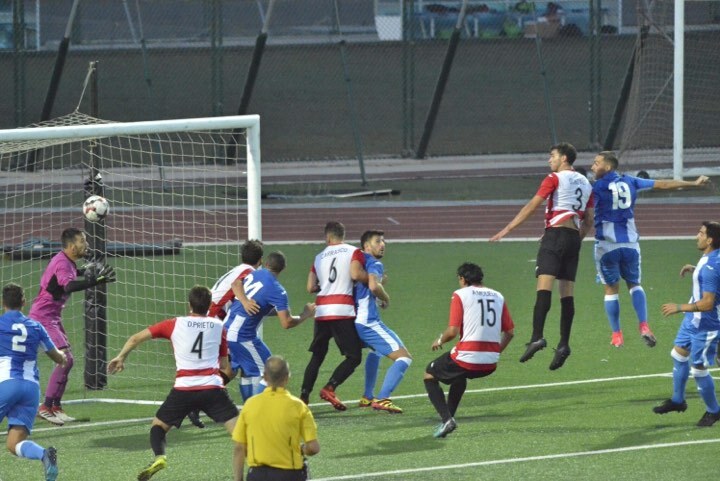 Forward Salvador ‘Boro’ Alegre Delgado raced through to slot Saints into a sixth-minute lead but midfielder Daniel Ponce quickly volleyed Gibraltar United level from an excellent cross by Michael Negrette. A few minutes later Negrette nearly gave his side the lead but his shot from outside the box struck the post. Saints grew in confidence after Mauri Torres Fernandez thunderous shot hit the crossbar and in the 41st minute they regained the lead as Juanfri Pena Garcia nipped infront of Gonzalez Guijaro at the near post to head Calderon’s corner past Chino. Just after the hour mark, Gibraltar United nearly found themselves with two locals on the pitch after the fourth official signalled for Jamie Bosio to be replaced by Dutch striker Achraf Nait, but the eagle-eyed Gib Utd fans quickly realised the mistake and shouted towards assistant manager Javi Sanchez to cancel the change, which was done, much to the anger of the St Joseph’s faithful. Shortly after Gibraltar United were down to 10 men as a reckless challenge from Aymen Mouelhi resulted in last weekend’s hero being sent off for a second bookable offence, Tito De Torres would replace Francisco Alvarez which meant they would still have three locals on the pitch. With about ten minutes left, Saints had a great chance to kill the game off but Chino made a good one-on-one save to keep out Pedrito’s effort on goal. 86 minutes played and Saints looked in a comfortable position to walk away with all three points but second half substitute German Cortes Narvaez, who had only been on the pitch 14 minutes, equalised with a good effort from outside the box. Minutes later Cortes nearly made it 3-2 as he outmuscled Daniel Guerrero and ran on goal but opted to square the ball to his team-mate which was blocked. In added time, St Joseph’s went down to 10 men as Dexter Panzavechia picked up two yellows and was shown a red. Jason Barcelo blew the final whistle shortly after and the points were shared. 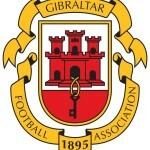 This entry was posted in Football, Gibraltar United FC, Men, Premier Division, St Josephs FC. Bookmark the permalink.